Sri Lanka known as Ceylon gained Freedom from Britain on February 4th 1948. I was born six years later in Independent Ceylon on May 21st 1954. Ceylon became a Republic and changed her name officially to Sri Lanka on May 22nd 1972.Sri Lanka celebrated her 68th anniversary of Independence on Feb 4th 2016. The official commemorative event was held at the Galle Face Green. The highlight of the day was the singing of our national anthem in both Sinhala and Tamil. During the past decades I have seen many official commemorations of Independence day occur. However for the first time in my life I witnessed a scene via the internet which I thought would never ever happen during my lifetime. I saw and heard a youthful choir of boys and girls exuberantly rendering the Sri Lankan National anthem in my mother tongue –Tamil. It took 2 minutes and 32 seconds. The singers were students of Bambalapitiya Ramanathan Hindu Ladies College and Colombo Vivekananda College. They sang harmoniously. After several decades the national anthem was being sung with official approval at the state sanctioned commemoration of Independence. I was in a state of emotional ecstasy. I did something which I have not done before when Sri Lanka’s National Anthem was being played. I cried! I am not ashamed to say that!! I kept clicking replay to see the clip over and over again. My eyes turned moist and tears kept trickling down my cheeks. I even sobbed a few times involuntarily. It was with the greatest difficulty that I controlled myself. When the “Rupavahini”camera panned on the distinguished gathering, I saw those very important children of the Sri Lankan mother – most of them Sinhalese- standing respectfully erect as the words rang out clearly in Tamil. It was truly a defining moment! I realised that the land of my birth had embarked on a new and exciting journey. After decades of post – independence conflict fuelled mainly by ethno-linguistic contradictions, the nation at large was realising and recognizing its pluralistic national identity. While Sinhala continued to retain its rightful place, the Country was now moving forward on the path of inclusion and was prepared to accommodate what had been excluded before. The 68th independence day ceremony was a good omen of the brave, new Sri Lanka that was being envisaged by the new dispensation in power. US Astronaut Neil Armstrong after his historic lunar mission described his first step on the moon as a small step for a man but a giant leap for mankind. Likewise the singing of the national anthem in Tamil at the official Independence day ceremony is a great leap forward of tremendous symbolic value in the right direction. It is a signal to the long alienated Tamils of Sri Lanka that it is time for them to come in from the cold and re-enter the national mainstream.The Tamil language recognized Constitutionally as an official language is now being given parity of status. Tamil is not only spoken by Sri Lankan Tamils but also by Indian Tamils and a substantial numbers of Sri Lankan Muslims. The language spoken by nearly 25% of the populations was granted symbolic recognition at the Independence day event. The announcement that the national anthem was going to be sung in Tamil also on Feb 4th had earlier brought in its wake loud howls of protest. A motley group of pseudo- nationalists kept ranting and railing that the singing in Tamil would threaten national security.Some alleged that the Eelamists were trying to divide the country by singing “Sri Lanka Thhayae”. The pater familias of nepotistic corruption shed crocodile tears for the country’s independence.People who never bothered about constitutional provisions regarding Tamil as an official language not being implemented turned overnight into constitutionalists insisting that the constitution was being violated. A sanctimonious cat even warned of President Sirisena being impeached in this regard. An orchestrated campaign was underway to create an illusion that the national anthem being sung in Sinhala and Tamil on Independence day would bring about a great calamity upon Lanka and her people.Given the deep divisions within and outside the government over this matter and the aggressive hostility displayed by influential politicians, I had thought that the Govt would back down on this issue . Happily my fears became liars! I thank President Maithripa Sirisena, Prime Minister Ranil Wickremesinghe, Former President Chandrika Kumaratunga and all other ministers and members of this Government who made possible the singing of “Sri Lanka Matha” in Tamil also. I salute them for their political courage in doing the right thing in the face of opposition. My sense of elation is very much due to this issue of singing the national anthem in Tamil being one that I care strongly about.I yearn nostalgically for the happy past where this was not an issue at all to me.When I was a student at St.Thomas’ prep school in Kollupitiya (1959-64) during the times of J.T.R. Perinpanayagam as headmaster, we used to sing the national anthem at end of term assemblies and other important events. The students were multi-ethnic – Sinhala,Tamil,Muslim, Burgher,Malay with a sprinkle of cultural minorities like Colombo Chetty, Bharatha, Sindhi.Bohra,Parsi,Chinese,Malayalee and Telugu(a great great grandson of the last king of Kandy was a student too). We were given “roneo”cyclo-styled sheets with the words in Sinhala and Tamil and the Sinhala version scripted in English. We were free to sing in whichever language but almost all of us being fluent in English preferred to sing the Sinhala words in English script. As a Tamil I don’t think I then understood the meaning of the words fully but at that primary school tender age it did not matter.The words had a musical tone and the tune was lively and lilting. It was after I relocated to Jaffna in my mid –teens that I started hearing the national anthem being sung in Tamil. The students at Jaffna College, Vaddukkoddai were almost entirely Tamil with one or two Muslims and Malayalees. By this time one had got “politicised”in terms of ethnicity.We were more aware politically as secondary school students. Besides the early seventies of the 20th century was also the era of standardization that caused much upheaval amidst Tamil students.”Tamil Eelam”consciousness had not entered our lives then but we did feel strongly about discrimination and perceived racist oppression. However it was while listening to or singing the national anthem in my mother tongue Tamil that I really felt and above all understood what it was all about. 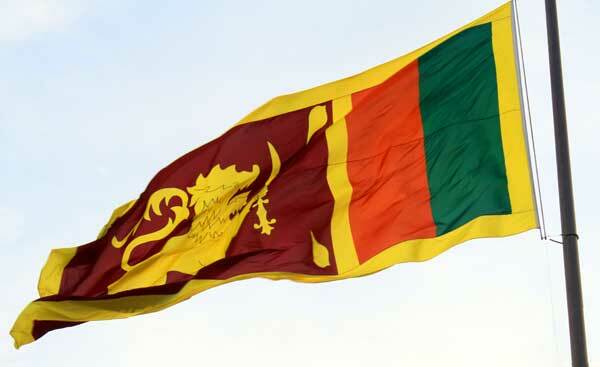 Politically I found the content of the national anthem unobjectionable as the words were about mother Lanka and the virtues of the country and not about any particular ethnicity. However I must admit that though I understood the national anthem better in Tamil, I liked hearing it being sung in Sinhala as the words seemed to sound mellifluously exuding a mood of joi de vivre. Despite this personal opinion , I was and am not prepared to let go of or be denied the cherished right to sing the Sri Lankan national anthem in my “Thaai Mozhi”(mother tongue)which is Tamil. All things changed utterly as the ethnic conflict escalated and the Sinhala and Tamil communities drew apart. The practice of singing the national anthem in Tamil in the North and east gradually diminished even as hostilities mounted. Before 1956 almost every major school in Jaffna had Sinhala masters (many of them Buddhist priests)to teach Sinhala to students. After Sinhala was imposed as the sole official language to the exclusion of Tamil this practice ceased.Likewise the singing of the national anthem in Tamil also went out of vogue in the Tamil area schools. This was reflected to some extent in Tamil schools in the South too but several Tamil medium Muslim schools continued with the practice of singing the national anthem in Tamil in many parts of the Island. In the evolving new situation of ethnic conflict, the practice of singing the national anthem went out of circulation in the Tamil polity for more than three decades. The politics of the Ilankai Thamil Arasu Katchi(ITAK) and later the Tamil United Liberation Front (TULF) created an environment where alternative “Tamil state” anthems were being sung at political meetings. At least three different songs were in use then. One of the Tamil State Anthems was “Vaalha Eezhath Thamizhaham, Vaalha endrum Vaalhave” (Long live Eelam Tamil homeland,Long live forever) by Paramahamsathasan. The other was “Engal Eezhath Thamizh Thirunaadu,Kalai Vaazhum Ponnaadu” ( Our great Eelam Tamil land, the golden land where arts flourish) by “Thirukkovil” Ariyanayagam the father of former TNA Parliamentarian Chandranehru Ariyanayagam and grandfather of current TNA Amparai district MP Kaveendiran Kodeeswaran. Ariyanayagam adapted his anthem from “Engal Thiraavidapp Ponnaadau” composed by film lyricist Kannadasan for the film “ Maalaiyitta Mangai”. The third was “Vazhiyave, Vazhiyave,Vazhiyave,Engal Thanga Maamanith Thamizh Eezham”(long live,long live, long live, our golden gem Tamil Eelam) by fiery Eelamist poet Kasi Anandan now living in Chennai . All these versions of a “Tamil Eelam national anthem” were sung during the past decades when Tamil ultra-nationalism and separatism rode high. These were different to the songs sung in “ praise of mother Tamil” or “Thamizh Thaai Vaazhthu”. Glorifying the “Tamil mother” is a must in all Tamil cultural functions. Personifying the Tamil language as mother Tamil and singing praises of her is something difficult for non – Tamils to understand. Usually Subramania Bharathy’s “Vaalha Nirantharam , Vaalha Thamizhmozhi, Vaaliya Vaaliyavae” (Long live in perpetuity, long live the Tamil language,long live,long live) or Bharathidasan’s “Thamizhukkum Amuthendru Paer , Anthath Thamizh Inbath Thamizh Engal Uyirulkku Naer” (Tamil is a name for Ambrosia. That Tamil,sweet Tamil is equal to our life)are sung in honour of the “ Thamil Thaai or Tamil mother” at cultural events. After the ascendancy of Tamil militancy in general and the Liberation Tigers of Tamil Eelam(LTTE) in particular the practice of singing the national anthem in Tamil in the North and East began rapidly declining. Very often the music alone would be played on official occasions.After the LTTE established territorial control over certain regions in the North and East the Sri Lankan national anthem was virtually discontinued. The LTTE did not have a substitute Tamil Eelam anthem. Instead they extolled the virtues of the “Pulikkodi” or tiger flag. The tiger flag was portrayed as the Tamil Eelam or Tamil national flag. The LTTE’s poet laureate Puthuvai Rathinathurai wrote the song “Earuthu Paar, Kodi Earuthu Paar” (See it being hoisted,See the flag is being hoisted). This was sung during the mandatory hoisting of the tiger flag at most ceremonies in LTTE controlled areas. After the Sri Lankan armed forces began re-capturing territory from the LTTE the writ of Colombo regained its dominance and authority. Although the singing of the national anthem had decreased significantly in the North and east due to the escalation of the ethnic conflict the practice began emerging once again after the military defeat of the LTTE in May 2009.Consequentially the national flag fluttered proudly in the North and East and the national anthem too began resonating in those regions. In a sense it was a revival of what had prevailed during the early years of independence. The national anthem we sing now was not officially in use when freedom from the colonial yoke dawned for the Island nation on Feb 4th 1948. When Ceylon gained dominion and later full independence status there was no approved indigenous national anthem .The Lanka Gandharva Sabha was assigned the task of formulating a national anthem. A competition was organized and a panel formed by the Sabha was entrusted the duty of selecting an appropriate anthem. 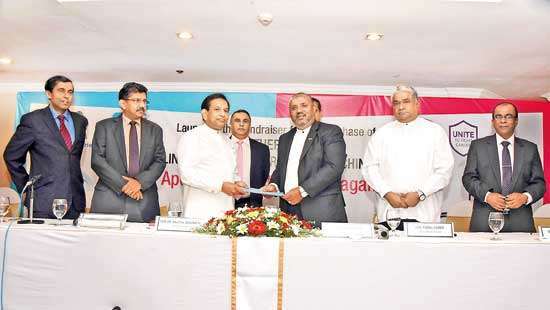 This panel comprised SLB Kapukotuwa, Dr.OHD Wijesekera,Lionel Edirisinghe, Mudliyar EA Abeysekera,LLK Gunatunga and PB Illangasinghe. In a controversial decision, two of the panellists were declared winners. A song written by P.B. Illangasinghe and set to music by Lionel Edirisinghe was announced to be the new national anthem.It began as – “Sri Lanka Matha/Pala Yasa Mahima/Jaya Jaya” and ended as “Jaya Jaya Dada Nanga/Sri Lanka Matha”.The fact that a song submitted by two members of the selection panel had “won” the national song competition evoked widespread resentment and protests.It was seen as blatantly unfair. Although the song by the Illengesinghe-Edirisinghe duo was broadcast over “Radio Ceylon” on the morning of Independence day as the national song it was not sung at the official Freedom day ceremony due to widespread protests.While the song itself was flawless and above reproach it was the perception of favouritism in the decision to adopt it that fuelled criticism and protests. Thus the song which won the national song competition was unacceptable as far as the people were concerned and began losing credibility. Meanwhile another song was slowly beginning to capture popular imagination of the people as a potential national anthem. This was the famous “Namo Namo Matha” written by Ananda Samarakoon who was a well-known painter as well as poet. His song too had been entered for the competition but was overlooked. Despite “winning” the competition “Yasa Mahima” was spurned by most people because of the manner in which it was declared winner.”Namo Namo Matha” without any official status began enjoying wide exposure and popular acclaim. Its popularity among ordinary people was so great that public opinion favoured “Namo Namo Matha” over “Yasa Mahima”. The song was relayed on Radio frequently. “Namo Namo Matha” though without official recognition was now becoming popular as the “de-facto” national anthem. The first anniversary of independence was observed on February 4th 1949 at Torrington square where the independence memorial building was ceremonially opened by Prime minister D.S. Senanayake. Even as the national flag fluttered proudly four young athletes carrying flaming torches entered the square and ran up the steps of Independence Hall. Together they lit the lamp of freedom. The quartet comprised members of the four major communities - Sinhala,Tamil,Muslim and Burgher- of the island. Since there was no accredited national anthem both “Yasa mahima” and “Namo namo” were sung as “national songs” at the ceremony. Unofficial Tamil versions of both songs were also sung.It was announced that national songs in Sinhala and Tamil would be sung. Such was the atmosphere of inclusivity that prevailed then. In 1950 the then Finance minister J.R. Jayewardene presented a cabinet memorandum that the widely popular “Namo Namo Matha” written by Ananda Samarakoon be formally acknowledged as the official anthem. Prime minister D.S. Senanayake set up a parliamentary select committee under the Home Affairs and Rural Development minister Sir E.A.P. 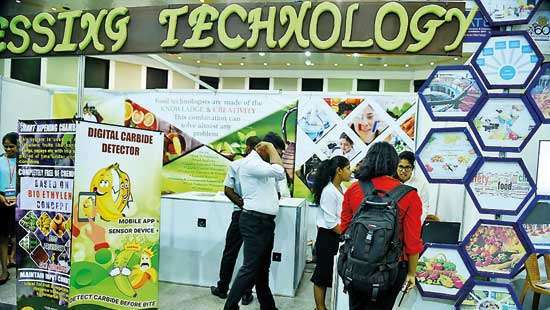 Wijeratne to finalise the issue. The committee headed by Wijeratne considered “Namo Namo Matha” and some other lyrics and decided that Samarakoon’s song should be the national anthem. Sir Wijeratne then presented a cabinet paper in August 1951 recommending “Namo Namo Matha” as the national anthem.It was unanimously approved by the cabinet and formally adopted on November 22nd 1951.Premier D.S. Senanayake stated that a suitable Tamil translation also be formally adopted. The select committee headed by Sir EAP Wijeratne had accepted in principle that there be an authentic Tamil version of the national anthem.The Tamil scholar Pundit M.Nallathamby a teacher at Zahira College, Colombo was entrusted this task and a neat Translation was done.The Tamil version was officially approved and was extensively used in official functions in the pre-dominantly Tamil speaking Northern and Eastern provinces. Four years after freedom on February 4th 1952 , “Namo Namo Matha” was sung at Independence day ceremonies as the official national anthem.The Tamil version “Namo Namo Thaye” was sung in related independence day functions at the Jaffna,Vavuniya,Mannar, Trincomalee and Batticaloa Kachcheries. With an appropriate translation available the Tamils of Sri Lanka found themselves singing the national anthem with emotion and fervour in their mother tongue. When Sir John Kotelawela visited Jaffna in 1954 the Tamil version of the national anthem was sung at functions felicitating the Prime minister.On March 12th 1952 the Government published huge advertisements in Sinhala,Tamil and English newspapers announcing that “Namo Namo Matha” was the national anthem. The words in Sinhala and Tamil were published in the Sinhala and Tamil newspapers respectively while the English newspapers had Sinhala words written in English. While Namo Namo Matha was now being sung as the official anthem there was no uniformity in the melody or manner of singing. Different choirs and singers were rendering it in different ways.This was causing much confusion.So the Govt decided to appoint a committee to ensure that uniformity was ensured in rendering the national anthem.An eleven member committee was appointed in 1953. Among its members were Ananda Samarakoon himself, Devar Suryasena and JDA Perera.This committee set out guidelines as to how the anthem should be sung and also defined the exact tune for it.The melody was a refined version of the original tune composed by Samarakoon. On June 24th 1954 the cabinet of Sir John Kotelawela formally endorsed the tune and singing of the National Anthem. The copyright ownership of “Namo Namo Matha” was formally acquired by the Government after payment of Rupees 2500 on that day. The reputed firm Cargills then agents for HMV records was given the order to make records of the national anthem.A disc was also cut for the Tamil version of the national anthem. While the melody and music was the same as that of the Sinhala version by Ananda Samarakoon the Tamil words written by Pundit Nallathamby were sung by two women singers Sangari and Meena. The official Tamil version was first broadcast on “Radio Ceylon” on February 4th 1955. In 1956 SWRD Bandaranaike became prime minister riding the crest of a Sinhala nationalist wave. The new Government hailed as “Apey Aanduwe” ran into a series of problems and difficulties soon. There were political demonstrations against the government, strikes by workers, communal violence and natural disasters like floods, fires and landslides.In the search for scapegoats certain elements (with vested interests perhaps) pounced upon the national anthem.In a burst of superstitious or irrational frenzy “Namo Namo Matha” was singled out as the cause for all the troubles afflicting the country under the Bandaranaike govt.A vicious campaign was launched against “Namo Namo Matha”. The charge was that the notations in “Namo Namo Matha” were unlucky and the cause for the country’s ills and misfortunes. The letter “Na” at the beginning was described as a malefix.The inauspicious “Ganaka” or “Gana” at the beginning of the national anthem had an ill-effect onthe country it was alleged. A ‘gana’ is the placing of the first three syllables – how the long and short syllables occur. The opening words of the anthem ‘na-mo-na’ short-long-short constituted an unlucky gana it was stated. In September 1959 ,the Prime minister SWRD Bandaranaike was assassinated. Elections to Parliament in March 1960 saw a hung parliament emerge. Dudley Senanayake’s short lived minority government fell. Fresh elections were called. The Sri Lanka Freedom Party (SLFP) was swept to power in July 1960. Bandaranaike’s widow Sirima became Prime minister.The new SLFP Government took the campaign against “Namo Namo Matha” seriously. The Home and Cultural Affairs minister Maithripala Senanayake appointed a committe of “experts” to examine the issue and determine whether the national anthem was the cause of the Country’s troubles.The committee recommended that the words “Namo Namo Matha” be changed to “Sri Lanka Matha”.Ananda Samarakoon protested vehemently and opposed the proposed change. The Government however went ahead and unilaterally amended the national anthem from “Namo Namo Matha” to “Sri Lanka Matha” in February 1961.Ananda Samarakoon’s consent was not obtained.Since copyright was now vested with the Government there was no legal remedy available to the poet to prevent this arbitrary action. While the Sinhala version was sung in most official functions in Colombo and Sinhala majority provinces , the Tamil version was sung in Tamil majority areas and Tamil medium schools. This accommodative attitude was displayed even after Sinhala was made the sole official language in 1956 and Tamil had no official status at all.Tamil received national language but not official language status in the 1978 Constitution. The national anthem in Sinhala was given constitutional status through clause seven of the same Constitution. However the Tamil translation was also given constitutional recognition by way of the third schedule to the seventh clause.The official gazette as well as copies of the 1978 Constitution published in Tamil had the Tamil words of the national anthem. After the war ended in 2009, the Tamil people began slowly re-entering the national mainstream again. What better way to celebrate this return other than to sing the national anthem once again in their mother tongue now constitutionally recognized as an official language? Would it not be significant to salute their country as mother in their own language - the language in which they think and feel?Would it not be great to thank mother Lanka who gave them “Knowledge, Truth,Strength and inner faith” and was also their “light divine and sentient being”.Would it not be most meaningful for an estranged and embittered people to sing of an end to “ill-will, hatred and strife” and to sing of themselves again as a “mighty nation marching onward,all as one and enfolded in love”? In such a situation it was indeed troubling to see a sudden “assault” on the usage of the Tamil national anthem in 2010 by the Rajapaksa regime.Strong moves were initiated by sections of the government to abolish the translated Tamil version of the national anthem and impose Sinhala as the only language in which the national anthem could be sung officially. A cabinet paper was taken up for discussion by the government in this regard on December 8th 2010. 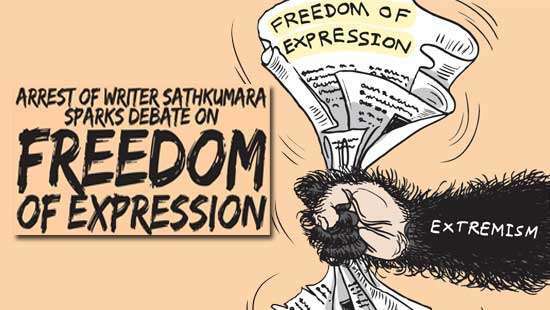 While an ill-informed Wimal Weerawansa told the cabinet that the national anthem had to be sung in Sinhala alone, the more enlightened Vasudeva Nanayakkara remonstrated strongly. With several ministers protesting the contemplated move the mood at the cabinet meeting changed.It soon became obvious that the proposal to do away with the Tamil translation of the national anthem was being met with stiff resistance. It was also clear that deep divisions were emerging on this account within the cabinet conclave.Gauging the situation correctly then President Mahinda Rajapaksa brought the discussion and debate to an end by announcing that the decision on the cabinet paper would be deferred indefinitely until a later date. He said that an intensive informed discussion was necessary before a final decision was arrived at.Meanwhile the status quo would remain as usual, the President stated. What happened thereafter is well known. Orders went out quietly to Govt officials and officers of the armed forces that the national anthem should not be sung in Tamil. There was no official decree but officially sanctioned unofficial instructions resulted in the silencing of the Tamil National anthem. Neither Vasudeva Nanayakkara nor Douglas Devananda could prevent this. The Rajapaksa regime did not ban the Tamil national anthem legally but saw to it that singing the national anthem in Tamil was forbidden in day to day affairs.The subterfuge adopted was that of maintaining the status quo overtly while negating the practice of singing the national anthem on ground. It was stated that there was no change and that the Constitutional provisions remained. Thus it was said that singing the national anthem was a right that prevailed and had not been taken away.An unofficial diktat however was strictly enforced by which schools, govt institutions etc were “discouraged”from singing the National Anthem in Tamil. The armed forces in the North and East were tasked with the duty of preventing the national anthem being sung in Tamil. The Tamil people soon got the message and gave up attempts to sing the national anthem in tamil. School children were compelled to sing the Sinhala words scripted in Tamil.People like Weerawansa went about saying Tamils wanted to sing in Sinhala and not Tamil.Thus the right to sing the national anthem in Tamil was suppressed forcibly on the one hand while it was falsely asserted that the right to sing the national anthem in Tamil remained still. It was somewhat unbelievable that such a politically myopic exercise could have been undertaken at that critical juncture.After decades of a separatist conflict the alienated Tamil population was slowly struggling to be re-integrated into the political mainstream of a united nation. Now they were being denied the right to sing the national anthem in their mother tongue and dealt a symbolically powerful blow . This act of denial had other insensitive connotations in the wake of the military defeat inflicted on the LTTE. It could have been interpreted by some as a symbol of triumphalism. The Tamils were being treated as a “conquered”people and forced to sing the national anthem in the language of the “conqueror”.There was also a cruel irony in the contemplated move.The limited right to sing the national anthem had been enjoyed in the past when Tamil had no official Constitutional status. Now Tamil had official language status thanks to the 13th and 16th amendments to the Constution. Sadly attempts were being made to deny the right to sing in Tamil after elevating it as an official language. There was also another and more compelling reason for allowing the status quo to continue. The Tamils who want to sing the national anthem in Tamil are not separatists or extremists. It was being articulated by many that separatists and the pro-LTTE diaspora wanted the national anthem to be sung in Tamil. Nothing could be further away from the truth as this idiotic assertion.The silent majority of Tamils living in Sri Lanka want to sing the national anthem in Tamil because they belong to and want to identify with Sri Lanka. It is not a new right they demand but only the continuation of what has been and was available. While giving pride of place to the national anthem in Sinhala they only want to sing it in their mother tongue wherever and whenever possible or applicable. Dispassionate foreigners such as diplomats, academics, media and NGO personnel were aghast.They could not believe this was happening in a land that had been torn asunder by ethnic strife and was now on the path of ethnic amity and national unity.Why this intolerant attitude and heavy handed response to an issue that would have never been an issue in any sane and sensible country?But then these things do happen in the beautiful island called Sri Lanka where I was born and bred. Hard as it may be to believe many such things are possible in the pearl of the Indian ocean later dubbed as the miracle of Asia. It is a land of paradoxes. “Third class politics”to use actor –politico Gamini Fonseka’s description has been Sri Lanka’s bane and ruin. What has prevented Sri Lanka from descending into total chaos and utter misery is the ability of some of its leaders and people to take corrective measures at times and undo some , if not all of the damage caused. What is more these corrective measures are enacted through democratic methods. Democracy in Sri Lanka may be flawed but nevertheless the country can be proud that it remains basically democratic.One set of rascals may be replaced by another set but these are done through democratic elections. Dictatorial tendencies are curbed through the casting of the vote. These have been the silver linings prevalent in the dark clouds looming over the Island’s political horizon. One such silver lining was visible last week in the case of the national anthem being sung in Tamil at the independence day ceremony. The new dispensation under President Maithripala Sirisena and Prime Minister Ranil Wickremesinghe is striving valiantly to rectify some of the wrongs perpetrated by the previous Rajapaksa regime. The 68th Independence anniversary commemoration was truly a heartwarming spectacle and a harbinger of hope. It demonstrated clearly that the triumvirate of Maithri,Ranil and Chandrika will proceed slowly but steadily on the road to inter-racial justice,ethnic amity and national reconciliation.